OREM, Utah - Two people were arrested on suspicion of felony theft after police said one of them swallowed a stolen ring in an attempt to hide it. 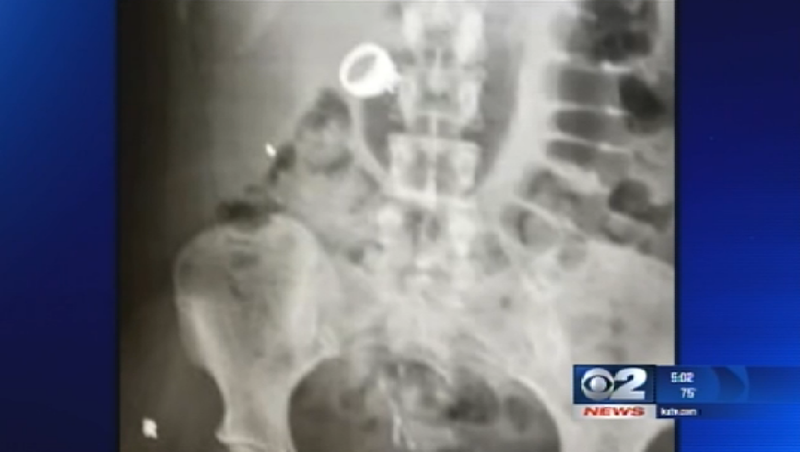 Police say an X-ray clearly showed the ring inside the stomach of 25-year-old Christina Schlegel. Investigators say 29-year-old Bryan Ford had been examining a ring worth several thousand dollars at a Zales jewelry store on Friday night in Orem, about 45 miles south of Salt Lake City, when he allegedly left with it. Police say he was chased by an employee as he got into a car driven away by Schlegel. Officers stopped the car and arrested both suspects a short time later. Police say they were baffled as to the ring's whereabouts until the X-ray of Schlegel's stomach was taken.